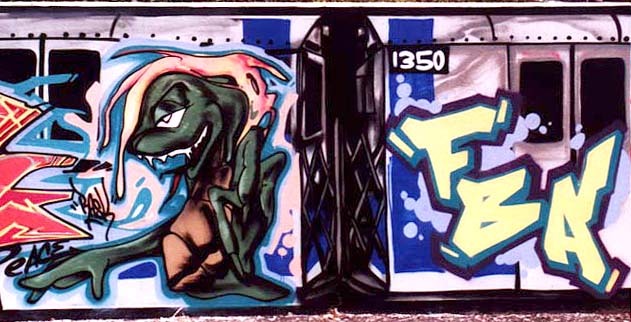 Fast Breaking Art mural (3 "Whole Cars" painted End to end) for the Paterson New Jersey 1997 Graffiti A' Thon. 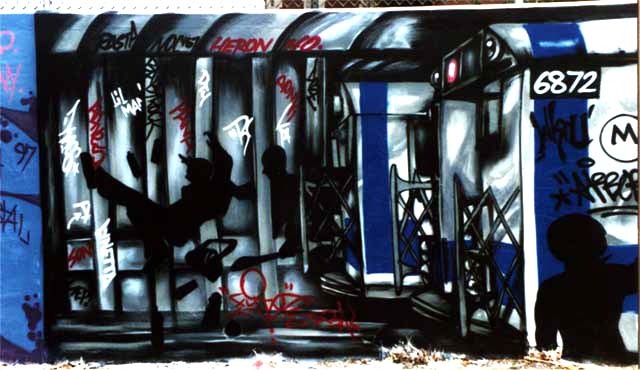 The mural contains pieces by 6 different writers. We are missing three: Serve, Tack and Kaze. If you have better flix, please send them in.